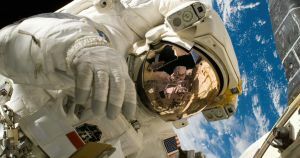 An anthropologist at the University of Florida is making the case that long space missions, like a crewed trip to Mars, would require crew members with pronounced senses of humor to build social bridges and defuse tension at a perilous distance from Earth. Before he turned his work to astronauts, Johnson spent years studying another isolated group: long term workers in Antarctica, where he found that self-appointed clowns and practical jokers were crucial to forging bonds under tense conditions. In a mission to Mars, communication delays could be as long as 20 minutes — and the eight month trip takes astronauts far from health care and other resources back on Earth.